The new games we brought along ensured a fun, family day was enjoyed by all. The intention was not principally to raise funds but we did gather some money. 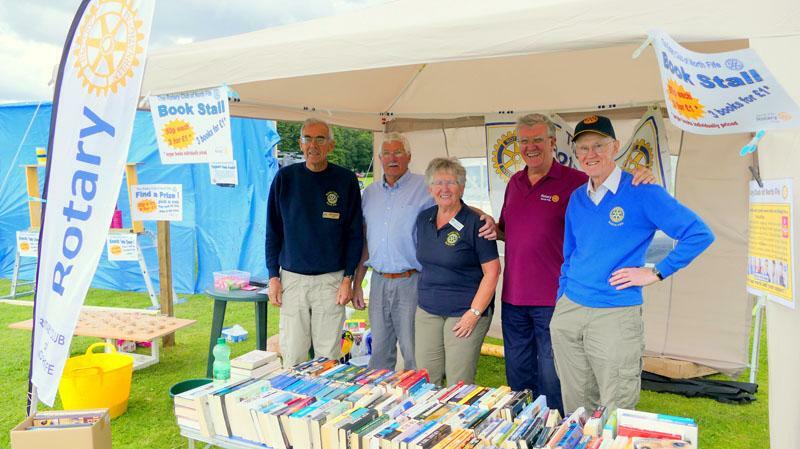 The books raised just under £50 and the funfair games took in £82.05p. There were, however, some major expenses to recover from these generous donations: the sieve for the sand (£1.99p), the sand (£1.96) and the 2 tarpaulins (£4.49p). These are now added to the club's assets and will be available for our own use or for hiring out to other Rotary clubs - at reasonable rates of course! Our own Colin Lowe will be using the games at Scotscraig's fun day, so the club should be in profit immediately! The funds raised will be going towards helping us with all the good work we do. Once again, thanks to everyone who helped on the stand and also to those who came along to buy books or play our games. It seemed like a successful day all round - and we even managed to get the spoons for the golf ball game back into the cutlery drawer before Scotscraig Golf Club noticed they were missing!